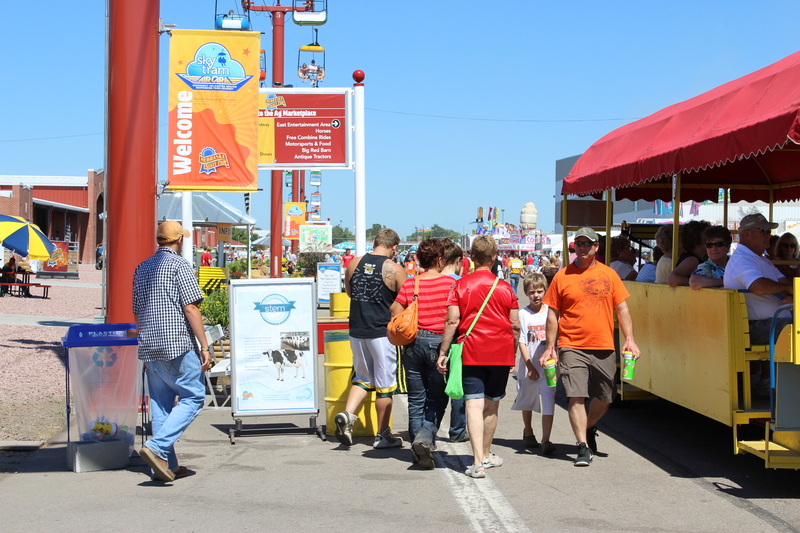 This year’s Nebraska State Fair marked a major move of STEM (Science, Technology, Engineering and Mathematics) awareness into the mainstream .And it’s a sign of things to come. This year and next, you’ll notice that STEM in the news, at family attractions and in conversations about education and parenting. It’s like we always say at the foundation: STEM is everywhere for everybody. 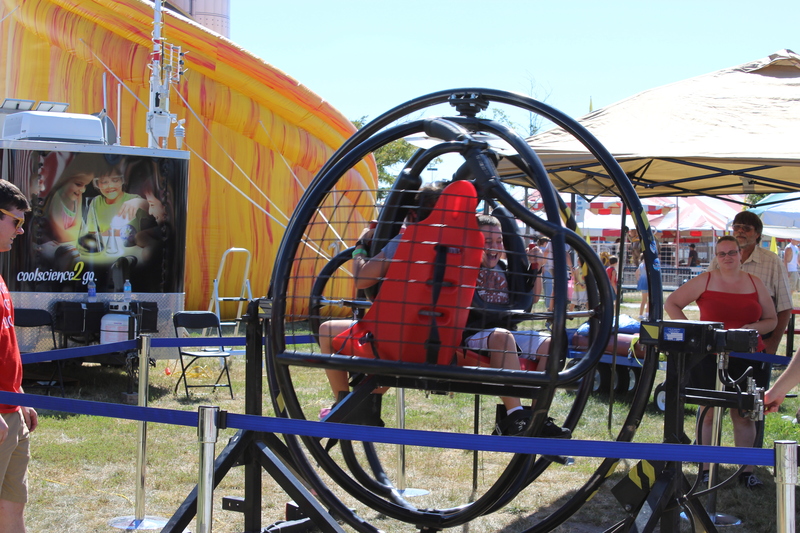 Here are some of the highlights from STEM at this year’s Nebraska State Fair. G-force simulator gives visitors hands on experience what it’s like to fly a space shuttle. 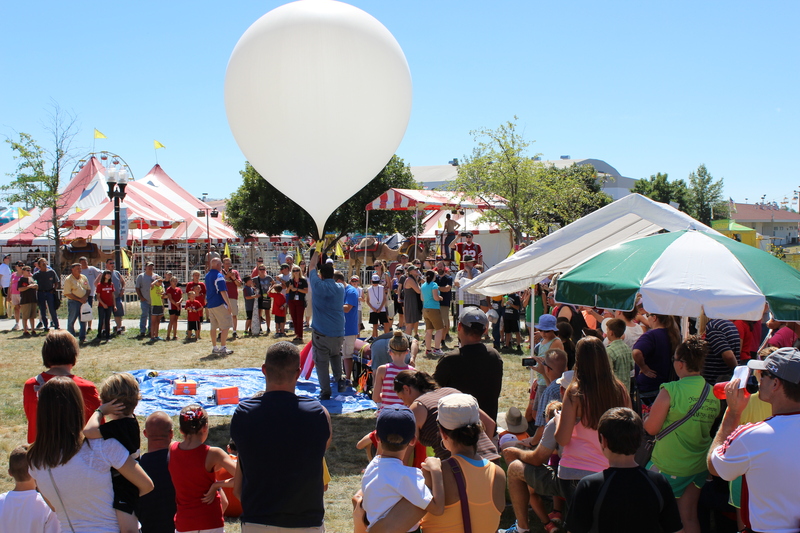 The Strategic Air and Space Museum demonstrates the launch of a high altitude balloon on Super Science Day. 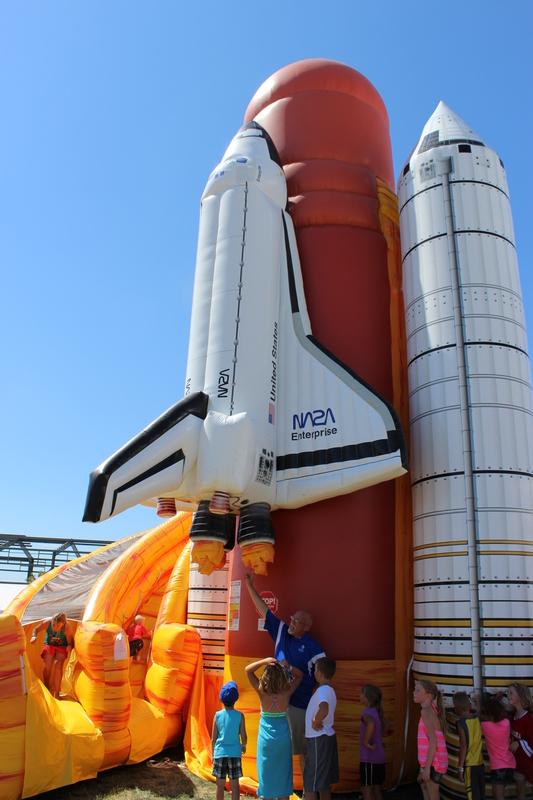 Kids come to learn about what makes a space shuttle work while enjoying a bounce house provided by the Strategic Air and Space Museum. What’s STEM Got To Do With It? 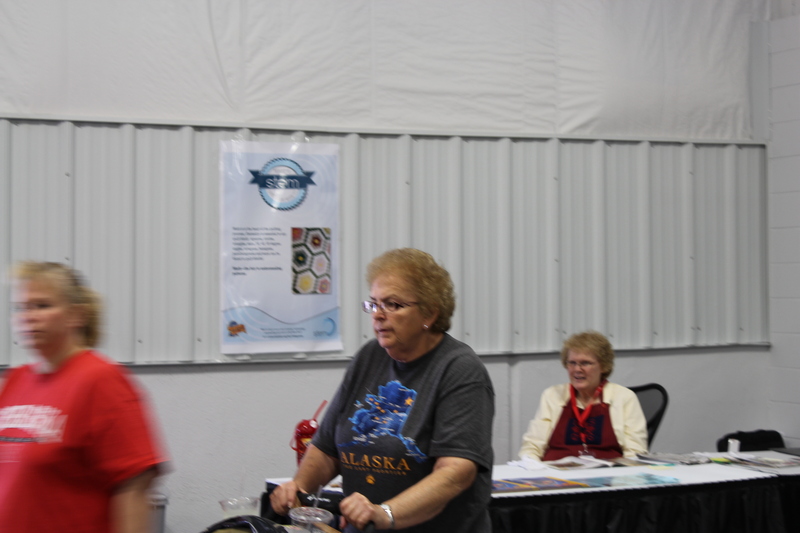 Fairgoers were finding out thanks to a series of STEM posters throughout the fairgrounds. This one discusses the physics engineers employ when designing roller coasters and other carnival rides. This STEM poster discusses the geometry required to create Nebraska’s favorite craft – the quilt. 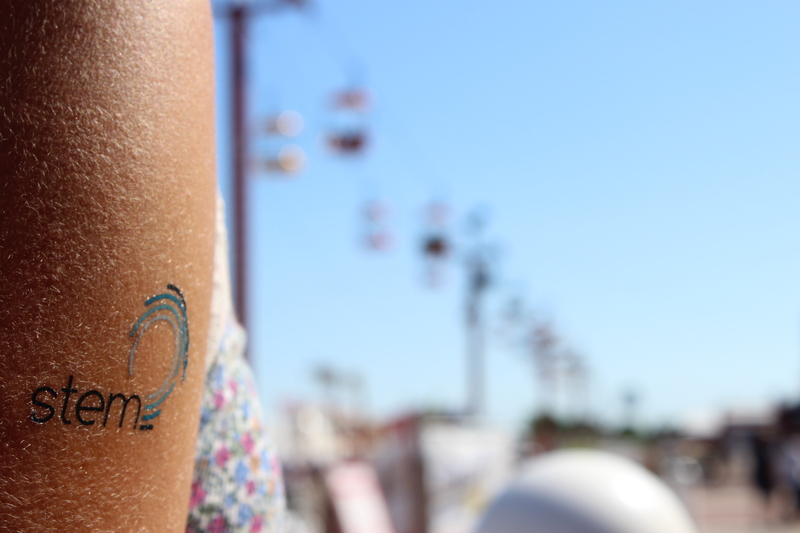 Temporary STEM “tattoos” allowed enthusiastic fairgoers to show their passion for science right on their skin! Agriculture is still the heart of Nebraska’s economy. And modern agriculture is science, pure and simple. This STEM poster talks about the science of food production and raising livestock. 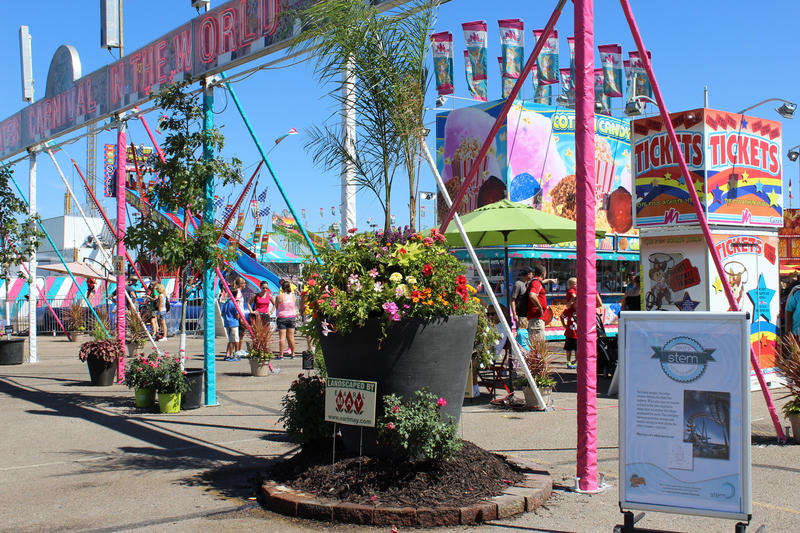 All the best fair foods come on a stick. 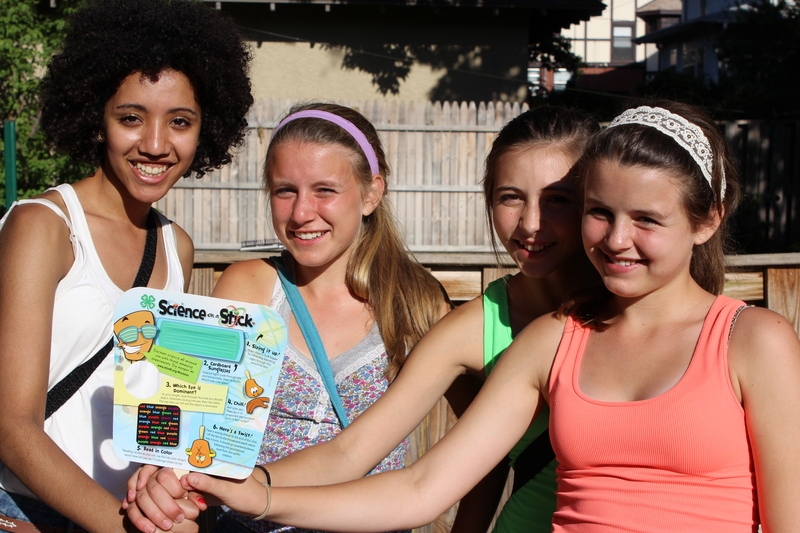 This group has just learned the science of making those foods happen! See a full list of STEM posters here. Super cool! Keep it up. Science is FUN and it opens young and old minds alike to the world around us. Thanks for promoting STEM in Nebraska!